At Reliable Senior Care, our primary focus is in-home compassionate care for seniors in Vancouver and the Greater Vancouver Area. 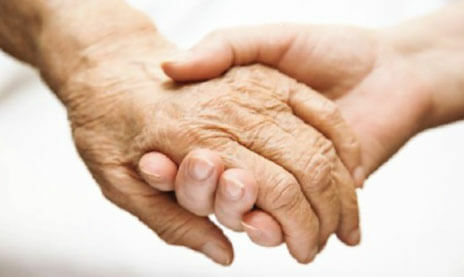 We want to help the elderly to preserve their quality of life in their own homes. Not all individuals who need a little extra help are ready to leave the comforts of home or the communities they’ve come to know and love. This is why Reliable Senior Care is dedicated to providing highly skilled professionals who can provide care tailored for each person’s needs. 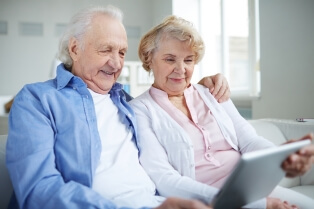 Reliable Senior Care’s services focuses on helping seniors with the minor or moderate challenges of daily activities while living comfortably in their very own homes. Basic companionship can improve the quality of life for many seniors who live independently but alone. We can help people at any point within the aging process on a full or part-time basis. Our supports services can also offer peace of mind for caregivers who need a little extra help. Why Choose Reliable Senior Care? Contact us today for a free consultation and home care assessment. Reliable Senior Care offers in home care services that includes full or part-time senior companionship, senior mobility assistance, light cleaning and food preparation, and periodic nursing visits. Professional care homes are simply not an option for many seniors. They are often well outside the means of many families and feel like institutions rather than homes. The average cost of a senior care home is in excess of $12,000 per month, plus extra for additional care requirements. This presents a great hardship on many families. Many seniors already own their own homes and the stresses of leaving can take a great toll on them. Reliable Senior Care offers competitive rates for our care services. Plus with our flexible care plans, our clients only pay for the services that are required. No two people are alike — and neither are their care needs. We meet with every client one-on-one to determine what care services will best fit your needs and we create a care plan that match your loved one’s needs exactly. We provide reliable, compassionate care at all levels, including specialty care for those with arthritis, dementia, Parkinson’s, or other ailments which affect the elderly. From brief check-in visits, companionship services, to round-the-clock care, we are there for you. Did you know that hiring a caregiver on a private basis may constitute an employer-employee relationship? This makes those needing care liable for expenses such as income tax deductions, employment insurance premiums, and CPP contributions. By hiring Reliable Senior Care takes care of all that — and more. We hire only the most qualified care providers. Each one of our staff goes through a rigorous staff recruitment and screening process, which includes a personality suitability interview, education and certification validation, extensive reference checks, a medical check, and a criminal background check. We are also committed to compensating our staff at a fair and livable wage. We also provide with medical and dental benefits — unheard of in the industry! Copyright © 2019 Reliable Senior Care Inc.